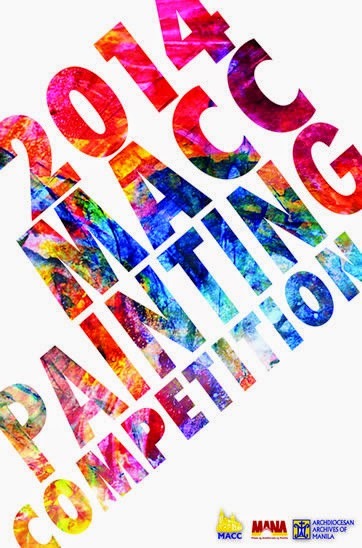 2014 MACC Painting Competition ~ Philippine Freebies, Promos, Contests and MORE! The Manila Archdiocesan Commission for the Cultural Heritage of the Church (MACC) is calling all students and out-of-school youth to participate in the 2014 MACC Painting Competition. This contest aims to cultivate current artistic interpretations of the Catholic faith particularly among young artists. In addition, it also seeks to raise awareness and appreciation of religious art. No entry fee is needed to join. All you have to do is download the entry form online or get it at the MACC office or in selected schools and parishes. Create your own original artwork based on any subject that is related to the Catholic faith then submit it at the Museo ng Arkidiyosesis ng Maynila. Cash prizes at stake are P40,000, P30,000, or P20,000 respectively. There will also be three (3) Jurors' Choices who will receive P10,000 each.